"H.L. 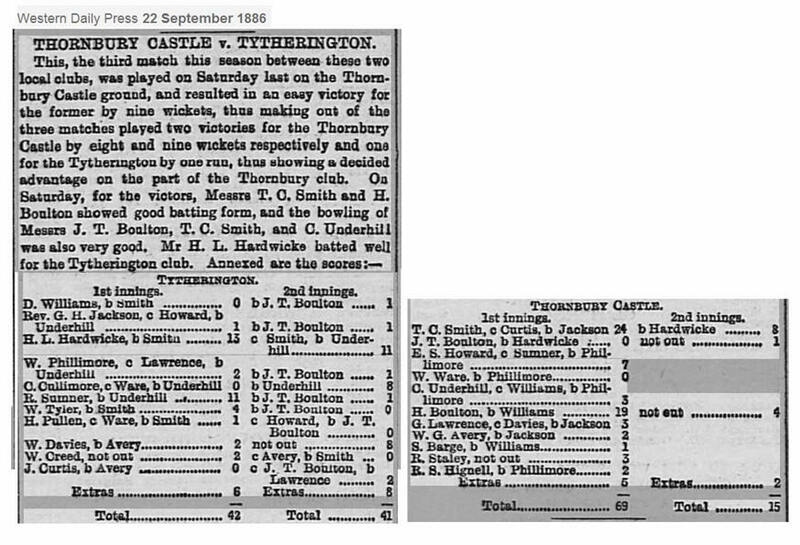 Hardwicke – a six foot three athlete, The Squire of Tytherington played for Thornbury, being a good bat and an excellent fielder, chasing the ball at great speed. Often after lunch at ‘The Ship’ before the game resumed, he would challenge anybody to a race round the ground and would leave all comers far behind. As a horseman he was noted for his marvellous hands, being able to control the most vicious and hard-mouthed horse. Finally, he had a cleft palate, so that his speech was difficult to understand". (Extract from ‘Sketches of people associated with Thornbury Cricket Club’ compiled by Dr. Edgar Mervyn Grace). 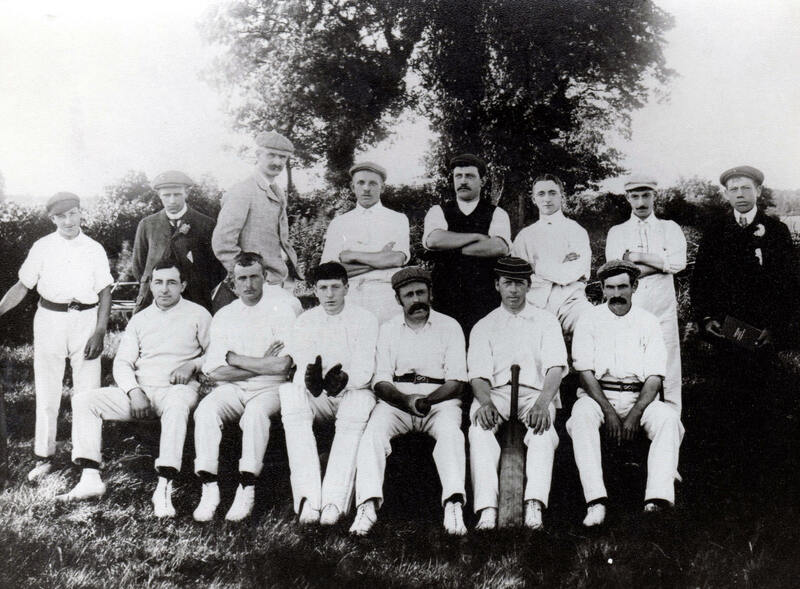 Squire Hardwicke posing for the Tytherington Cricket XI in about 1900. He also played for Thornbury and played with the famous W.G. Grace. In 1989 the memories of Alcey Curtis Jnr. (Squire's chauffeur) were that Squire Hardwicke was a difficult wicket to take and had played with W.G. and E.M. Grace. He was a good friend. 'Dandy' Humphries was a good cricketer and Bill Curtis was a wild hitter. 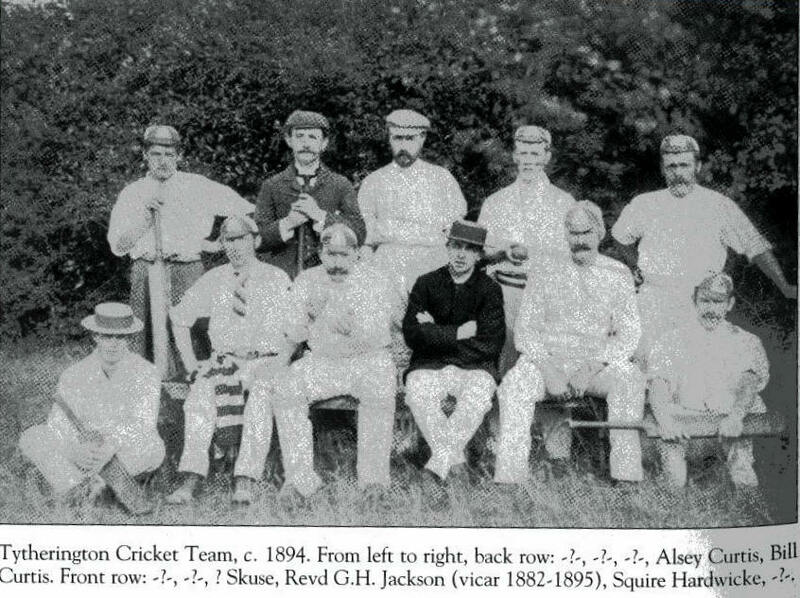 Alcey Curtis once bowled out E.M. Grace captain of Gloucestershire.